One of the best properties of Persian & Oriental rugs is their lasting durability and ability to be repaired. Some repairs are much more common than others, and most proficient rug dealers can complete a simple repair within a few days. Your rug after many years of being wear or no proper maintenance may get damaged or the selvedge get completely separate from the pile of the rug. 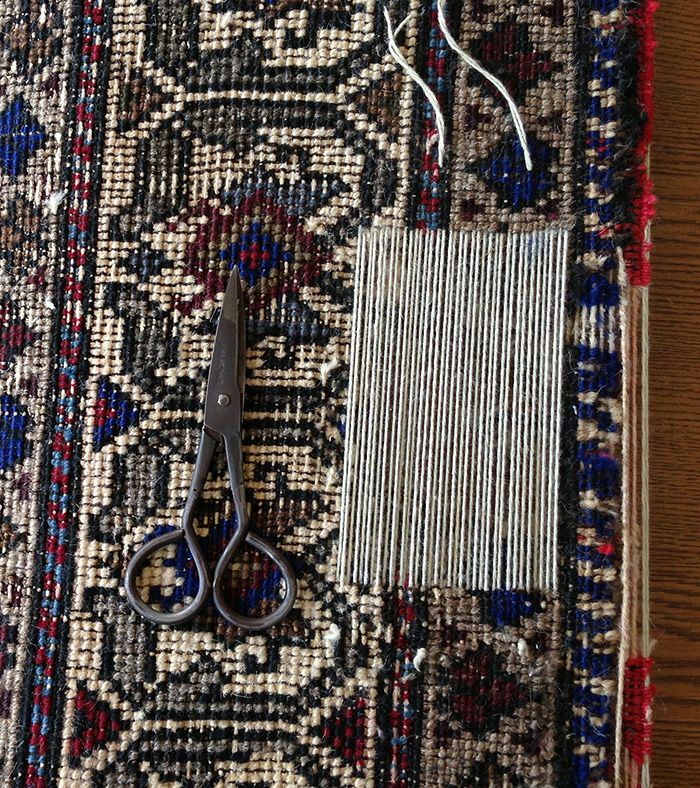 Because of the basic construction of hand-knotted rugs, we were able to re-construct the damaged warp and weft that the selvedge attaches to and re-connected the selvedge to the pile. A few extra stitches here and there, and a little extra wool or silk yarn to fill in the gaps in the selvedge and … Voila! Good as new for a few more years. 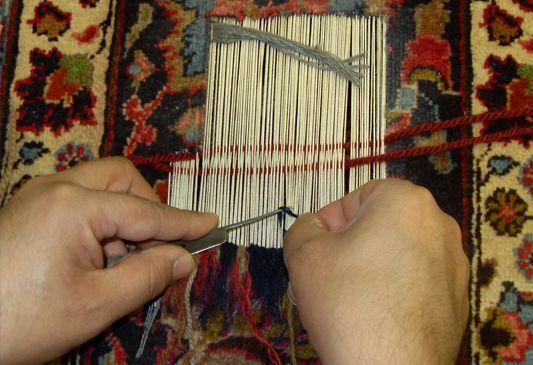 Rug Reweaving is the process of reconstructing torn and disintegrated areas of a rug. In this process, the damaged area of the rug is cut out entirely, new foundation is placed in its place, and the missing area is completely rewoven from scratch. Caution should always be used when placing plants or planters on rugs. If condensation or moisture collects under the plant holder, it will badly damage, rot, and/or discolor the surface of the rug. 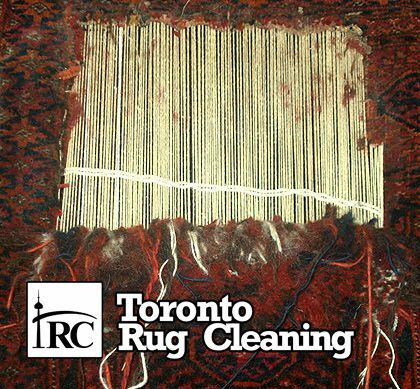 Toronto Rug Cleaning experts in Rug Repairing and Reweaving. Although fine hand-made Persian, Oriental and specialty rugs are made for generations of enjoyment, they sometimes need the skilled attention of a repair professional. 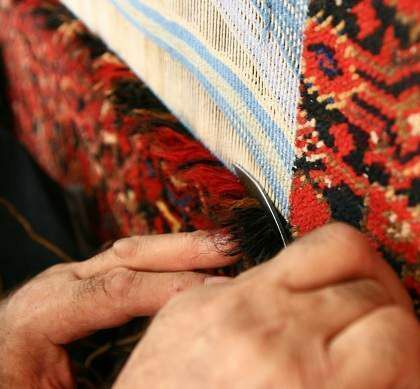 The meticulous repair experts at Toronto Rug Repair & Cleaning Services. we can restore your rug’s appearance and value ... to be enjoyed by your next generation. 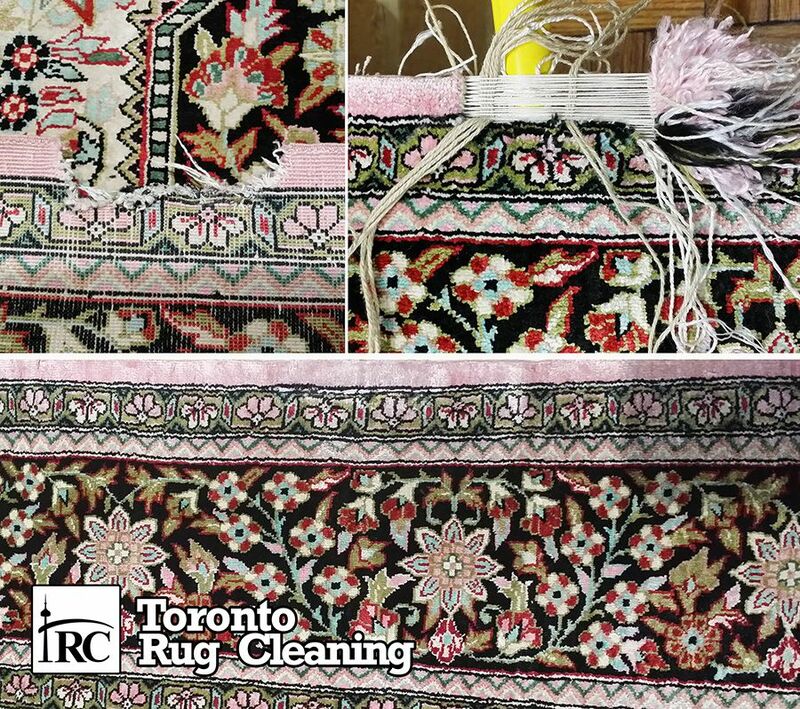 Whatever rug you bring us -Persian, Oriental, Wool & Silk, Antique, Woven, Tufted or Hand-knotted - you can trust the repairs to Toronto Rug Repair & Cleaning Services. When you have a rug repair concern, call on us for a free repair evaluation.